Steven de Jongh has left his role as sporting director at Team Sky after admitting taking performance-enhancing drugs during his cycling career. De Jongh, 38, is the third staff member to leave Team Sky in the last week. The British team has a zero-tolerance approach to drugs and has asked staff to sign a statement declaring they have had no previous involvement in doping. "Steven deserves our respect for the courage he's shown in being honest," said team principal Dave Brailsford. Steven de Jongh's departure from Team Sky is not a massive blow on its own - although his experience in the one-day races that make up the early part of the cycling calendar will be missed - but it is another case that chips away at the British team's carefully constructed anti-doping image. The team deserves praise for responding so firmly to the Lance Armstrong affair by reaffirming its zero tolerance approach on anybody associated with doping, but De Jongh is now the fifth man to leave the team under this cloud in recent weeks, and the third as part of the formal re-interview process. Questions are being asked about how serious that zero tolerance approach has been for the last few seasons. "There's no doubt about Steven's work with us or his approach. He's been a highly-valued sports director and colleague over three seasons. "He has our best wishes for the next step in his career." Sky race coach Bobby Julich left the team on Thursday after admitting to using the blood-boosting agent EPO when a rider. Lead sports director Sean Yates, the 1992 British champion who guided Bradley Wiggins to the Tour de France title this year,left Sky on Sunday, although the team said his departure was not a result of their zero-tolerance anti-doping stance. The 52-year-old is one of only five Britons to wear the yellow jersey and also won stages in the Tour and Vuelta a Espana in 1988. 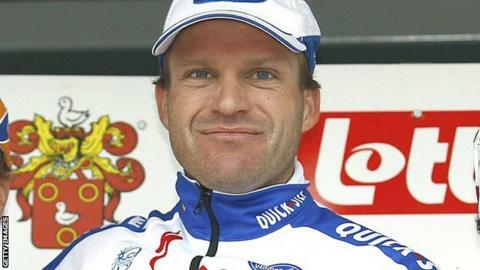 Both Yates and Julich worked with disgraced American cyclist Lance Armstrong during their careers. Yates rode with a young Armstrong at Motorola and, after moving into coaching, was reunited with Armstrong at Discovery in 2005, when the American won the last of his seven now-rescinded titles. Armstrong was stripped of his seven Tour de France titles after a United States Anti-Doping Agency report described him as a "serial" doping cheat.